…six million acres to explore. The Northwood Cabins is centrally located in the Adirondacks in Tupper Lake, NY. We’re also just a short drive from Saranac Lake and Lake Placid! You’ll find Tupper Lake tucked into the mountains on the shores of Raquette Lake (fun fact, none of the ‘tri-lakes’ towns are actually on the lakes they’re named after). Historically a logging town, today the town is the perfect place to relax and discover everything this unique corner of the Adirondacks has to offer! Ideal for a family getaway, Tupper offers a variety of friendly and accessible hikes. 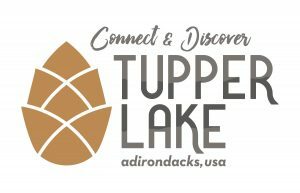 Tupper Lake is also home to the Wild Center, the official Natural History Museum of the Adirondacks. This world class museum is a MUST see when you come to town, and don’t miss their Wild Walk! Tupper Lake is also home to the Adirondack Public Observatory. You’ll also find a welcoming downtown area with some great dining and shopping options, and for the beer lover don’t miss Tupper’s two craft breweries, Raquette River Brewing and Big Tupper Brewing! Just a 20 minute drive from the Northwood Cabins, Saranac Lake is a great hub for exploring the Adirondacks’ St. Regis Canoe Area by boat. Saranac Lake also has a great downtown shopping district, vibrant art community and is host to a variety of popular events throughout the year. Saranac Lake is also the home of the world renowned Trudeau Institute and the Saranac Labratory Museum. A 30 minute drive from our cabins, Lake Placid is the perfect place to find tons of fantastic shopping and dining, gear up to ski at Whiteface, or plan a trip into the High Peaks. Host of the 1932 and 1980 Winter Olympics, you can also visit the Olympic Venues which are open to the public and regularly host world-class sporting events. Consider a visit to John Brown’s Farm where you can learn about the Adirondacks role in the lead up to the Civil War. Check out the list of upcoming events in the Tri-Lakes region.